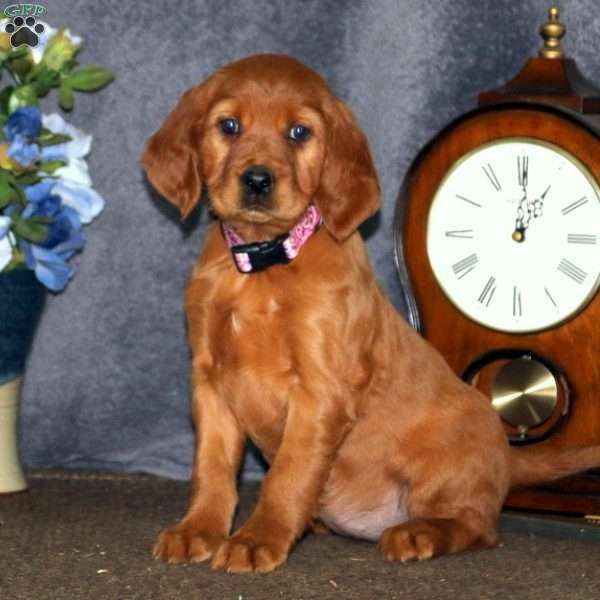 Shiloh is a beautiful Irish Setter puppy with a gorgeous red coat. This friendly gal can be registered with the AKC as well as the FDSB. 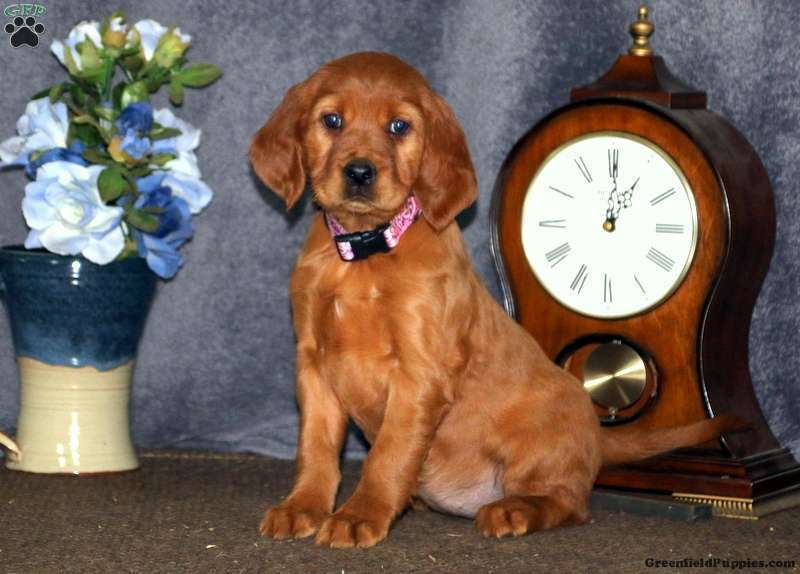 She is vet checked, up to date on shots and wormer, plus comes with a health guarantee provided by the breeder. Shiloh is family raised around children and she’s well socialized. 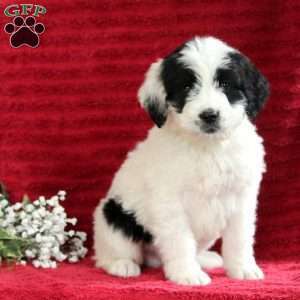 Both parents are the breeder’s family pets and are available to meet. With her parents background and impressive pedigree, Shiloh would make a great field or hunting dog. Contact the breeder today to learn more about this sharp pup!